Impress your guests with a mind blowing summer dessert that only takes a few minutes to make. Try this. 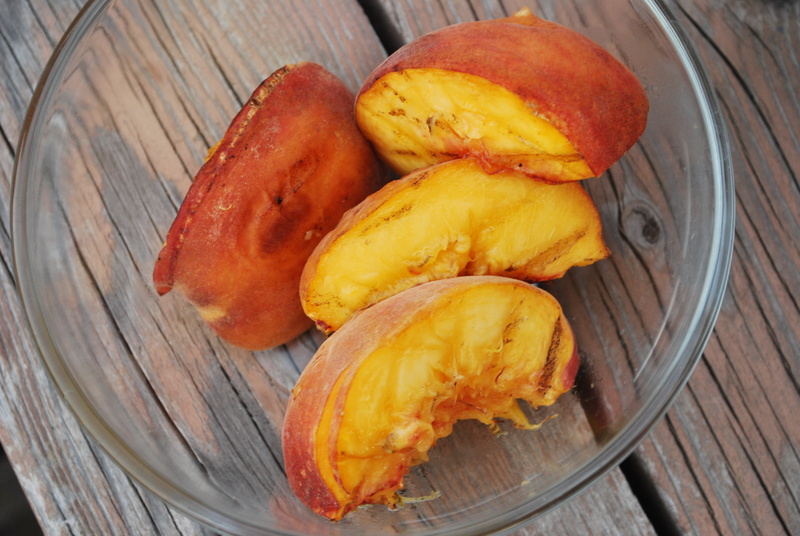 Get some fresh peaches, now in season here in Idaho. We’ve been getting them from our friend Tom’s produce stand on State Street, grown down on Sunny Slope. Quarter a couple of whole, fresh peaches, removing the pits. 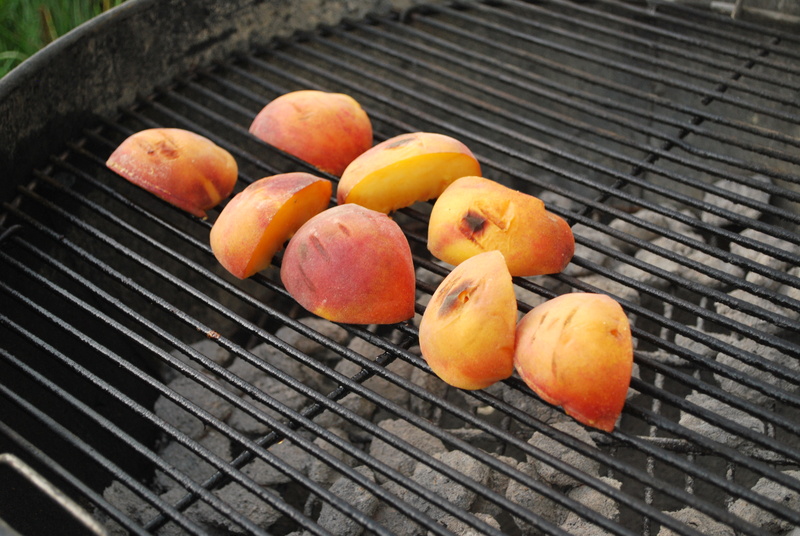 Put them on your grill, peel side down. We used our charcoal grill after we’d already cooked dinner, so it wasn’t extremely hot. After a few minutes, turn so that both sides of the fleshy part get grilled. Put in a bowl and pour fresh whipping cream (not whipped, just the liquid) over the top. Amazing! Tags: dessert, grilled peaches, Peach, peaches and cream, recipes, Sunny Slope. Bookmark the permalink. Previous post ← Outdoor Potluck! You’re Invited! Thank you!! We’ve got cases of peaches here at the moment! 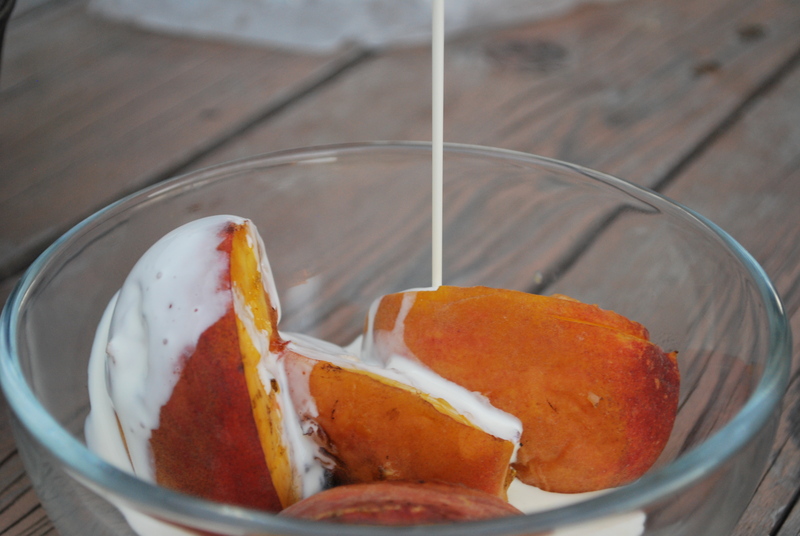 Peaches n Cream… mmmm. This just look deeeeelish and divine. Thanks for sharing.